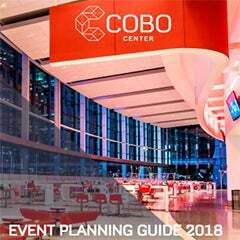 Detroit, MI – For this year’s auto show, Cobo Center is expanding food and beverage offerings aimed at family friendly activities and healthy alternative selections, announced Thom Connors, SMG regional vice president and general manager of Cobo Center. In the 2012 NAIAS food court, located in the Riverside Ballroom, presents diverse cuisine and several selections developed specifically for children. Food court hours are 10 AM – 8 PM daily. All cashiers in the Food Court will be passing out 2012 NAIAS Coloring Contest applications and crayons to children up to age 14. 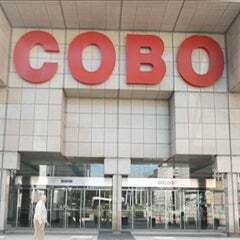 Snacksmart packs will be awarded daily as prizes for coloring the Cobo Center’s new construction mascot COBOTRON, and drawing their favorite part of the auto show next to him. 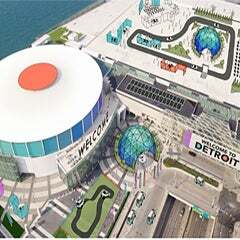 A grand prize, merchandise from the Detroit Shoppe on the Cobo Center concourse, will be awarded to the best drawing on January 22nd. Winners will be notified by the phone number on the contest entry. In addition to the food court, Cobo’s concourse restaurants include the Vu by Andiamo, Eatsville USA Café offering Lockart BBQ and Detroit Beer Company beverages, Custom Dogs, Caruso’s Coffee and Go Gourmet. The food court offers Indian, Mexican, Italian and American cuisine at a variety of outlets.